This curved, two-piece bench was designed to fit the foyer space defined by a spiral staircase. 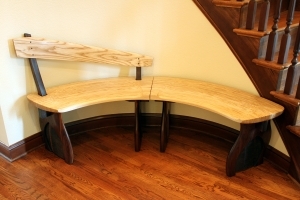 The clients wanted a unique but functional bench for the family entry way for removing shoes, setting down laptops, grocery bags, coats, etc. 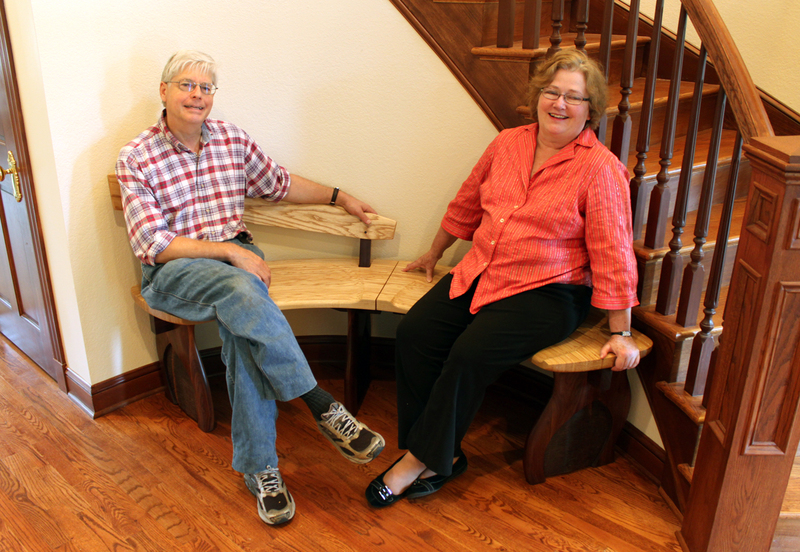 However, this spot becomes the focal point of the house during the holidays as a hefty Christmas tree is a natural fit in the space. They needed a bench that was easy enough to be moved by one person and could be slipped through the standard doorways leading away from the space. 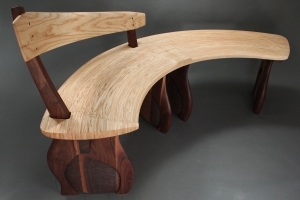 The bench obviously works well as a unit but the two halves conveniently part in the middle making mobility a piece of cake. 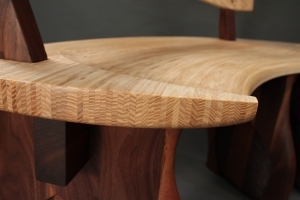 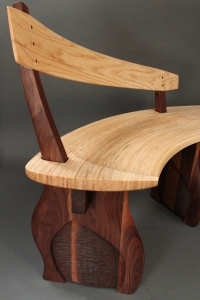 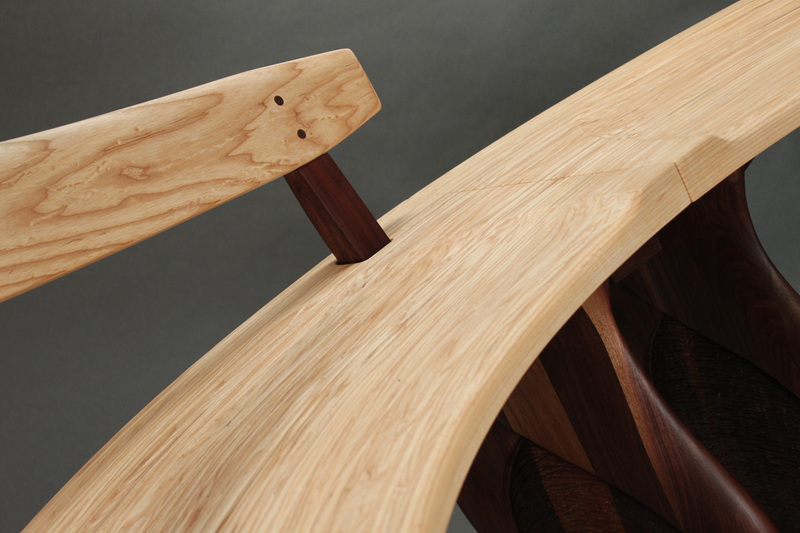 The seat is laminated strips of ash while the supporting structures are walnut.